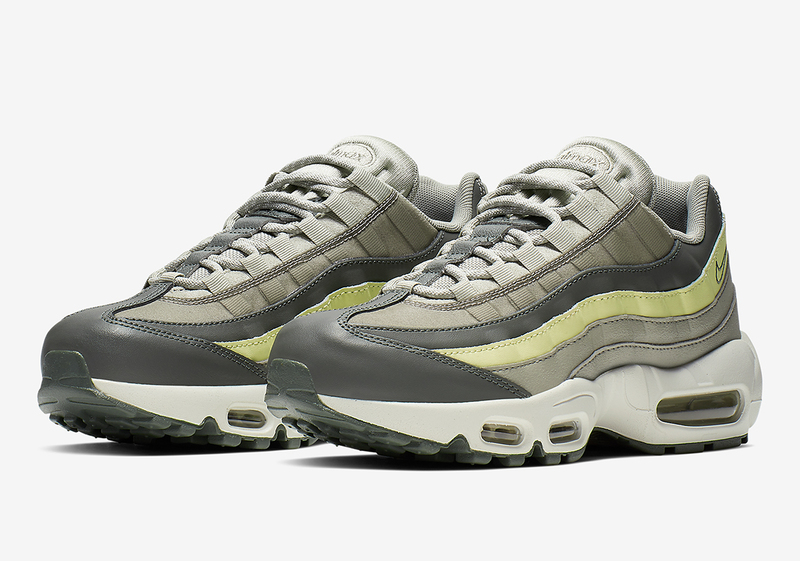 Behind only the Air Max 97, Nike’s Air Max 95 continues to release in a nearly endless array of color schemes for men, women, an children, proving it is both one of the most popular and versatile NSW creations. 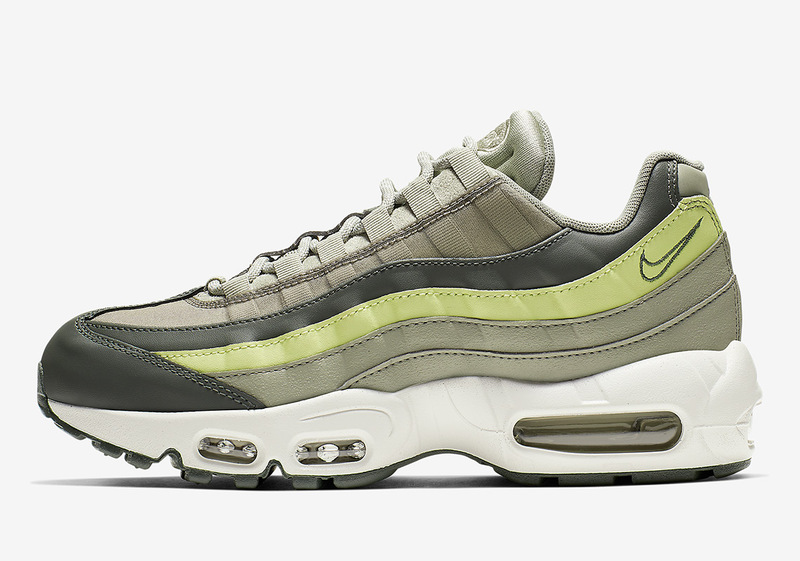 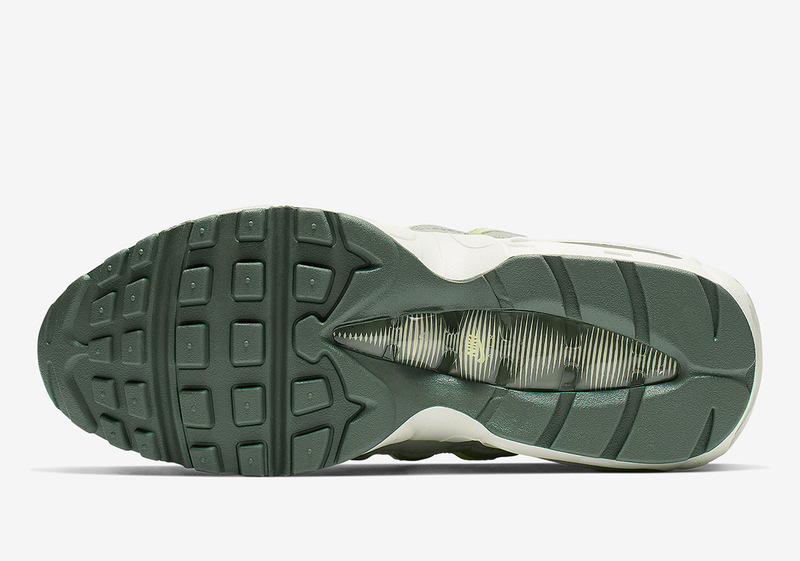 Next up for the ladies is an earthy “Mineral Spruce” designs that sees the midfoot racing stripes of this 95 dressed in that hue, Luminous Green, and Spruce Frog, while a creamy midsole unit acts as contrast for the rest of its body. 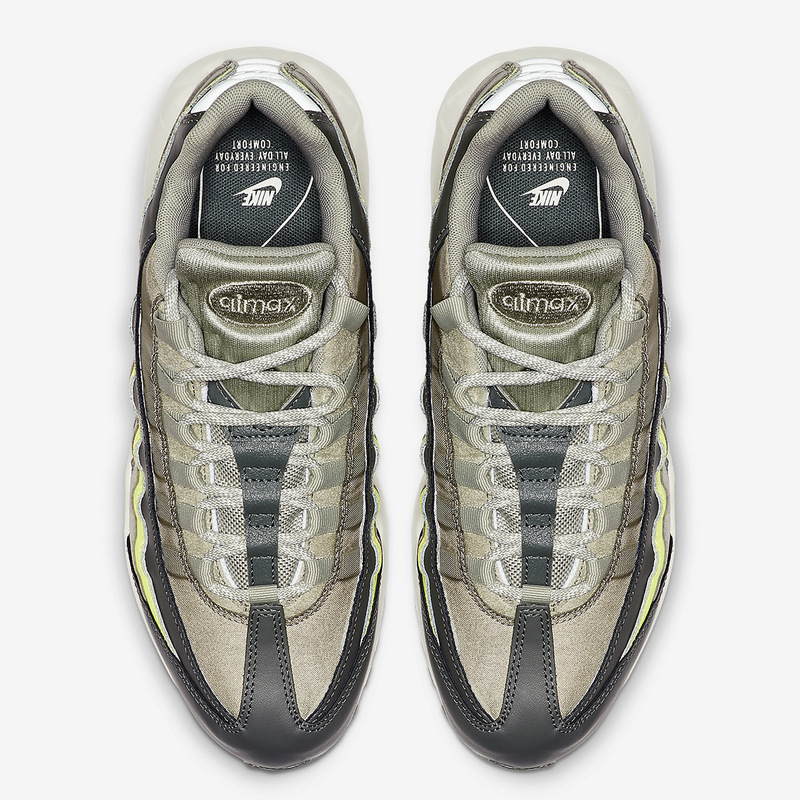 Opting to swap it customary mesh panelling out for leather this time around, a slight luxurious aesthetic is ushered in on the upcoming iteration. 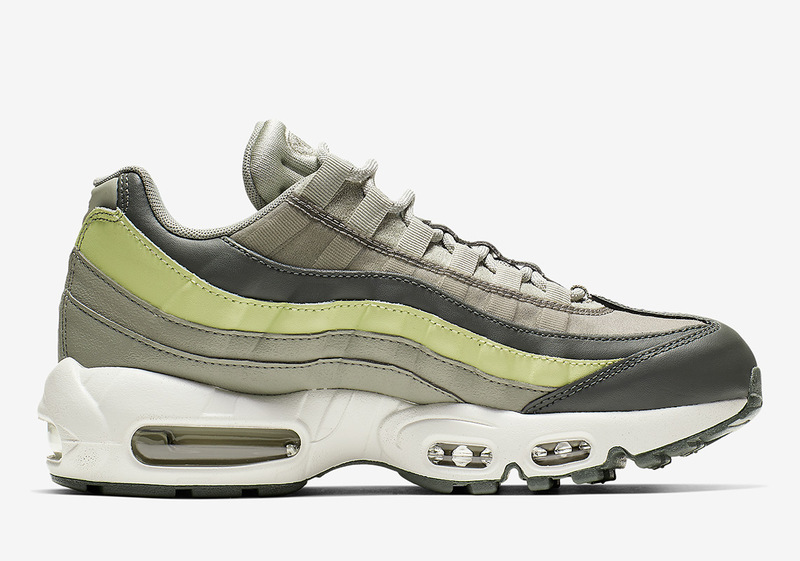 Revered for its countless color blocking capabilities, diverse material options, and multi-layered upper, expect the 95 to continue its reign of dominance on the Sportswear front. 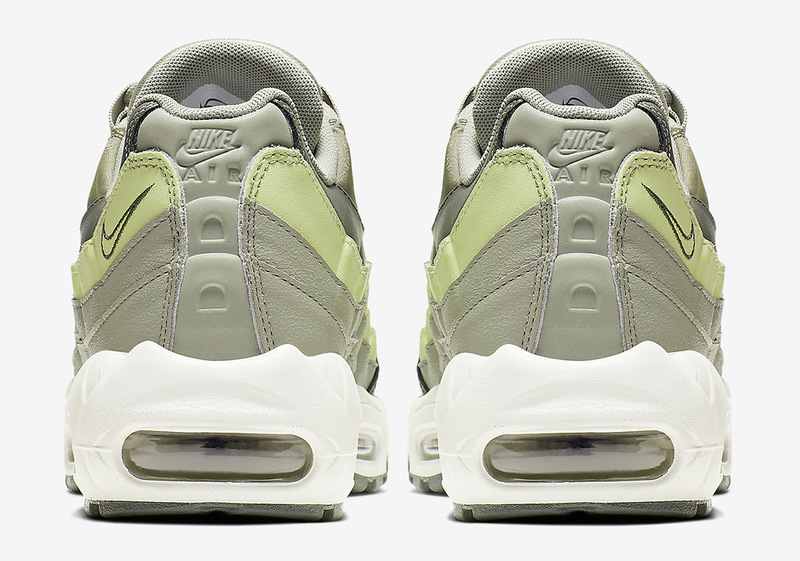 Female Swoosh heads looking to add these to their rotation can check out an official set of images below and stay tuned for release updates as we have them.